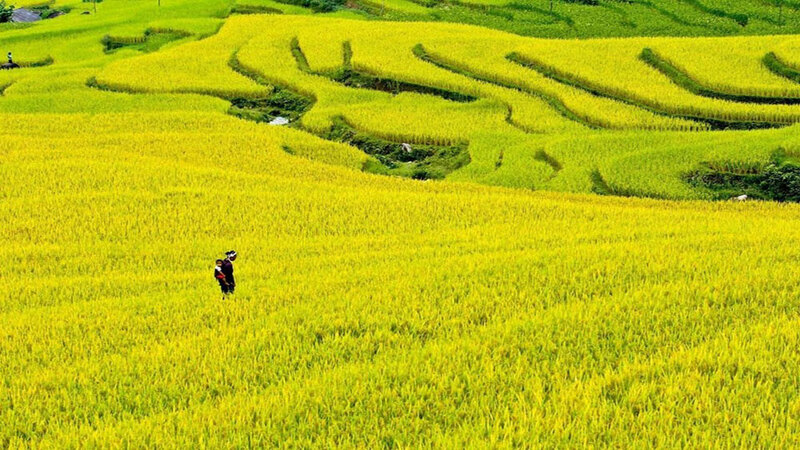 The harvest season has come to terraced rice fields in Hoang Su Phi district, the northernmost province of Ha Giang, presenting a spectacular view to travellers. 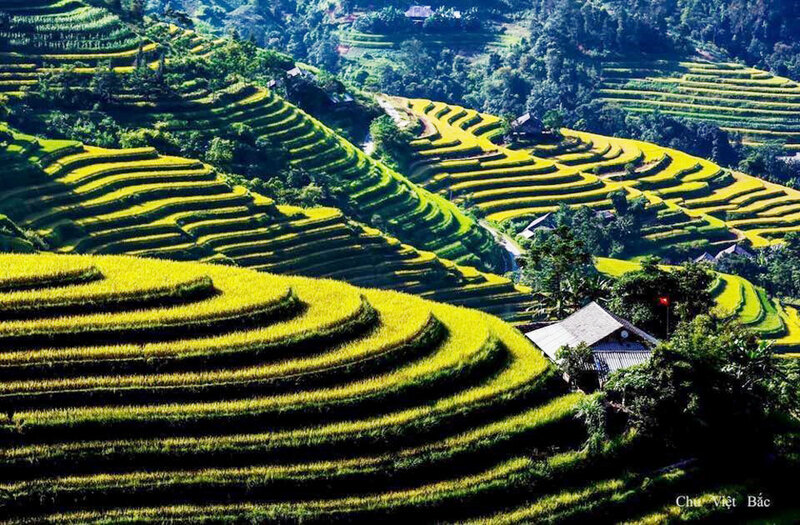 Terraced rice fields are a unique beauty of Hoang Su Phi district as well as other northern mountainous areas of Vietnam (Photo: VNA). 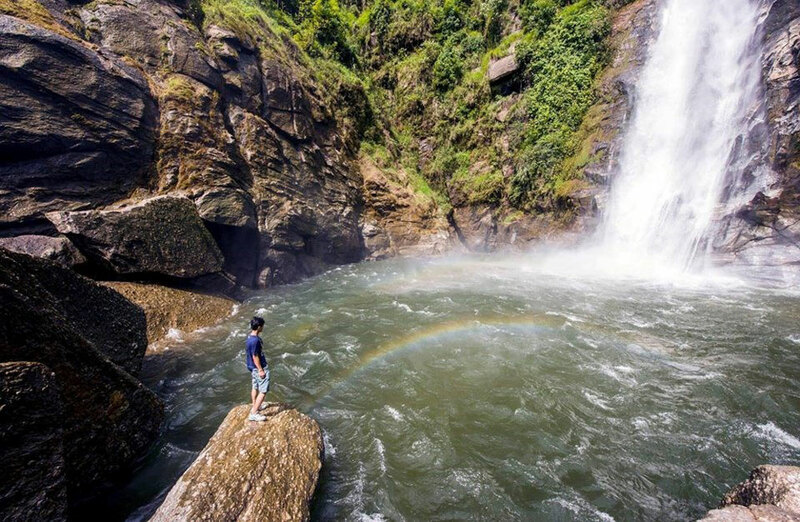 The harvest season in Hoang Su Phi falls in September and October, creating a breathtaking scene that attracts tourists to Ha Giang province every autumn (Photo: VNA). 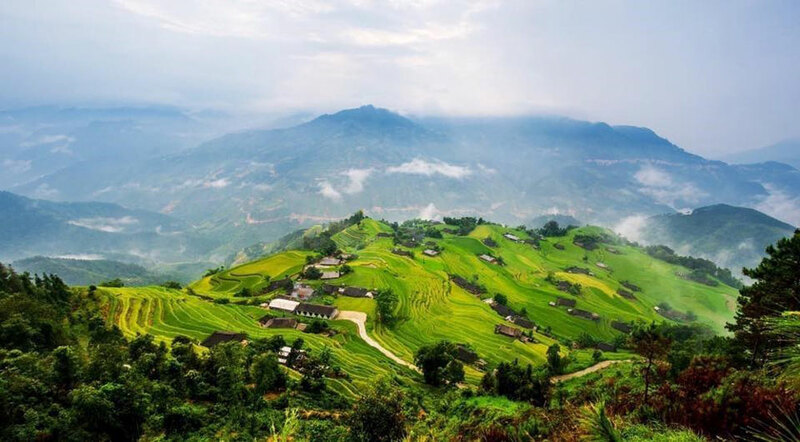 A cultural and tourism festival promoting the beauty of Hoang Su Phi’s terraced fields and ethnic culture kicked off on September 28 (Photo: VNA). 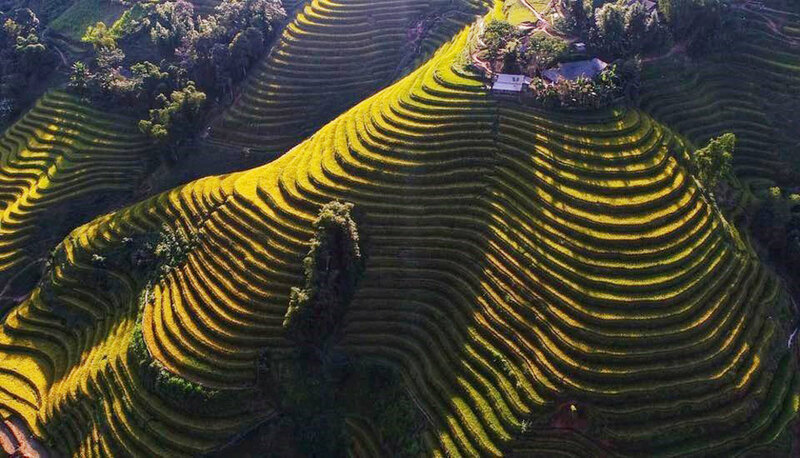 In November 2011, 760 hectares of Hoang Su Phi terraced fields located across six communes was recognized as part of national heritage (Photo: VNA). 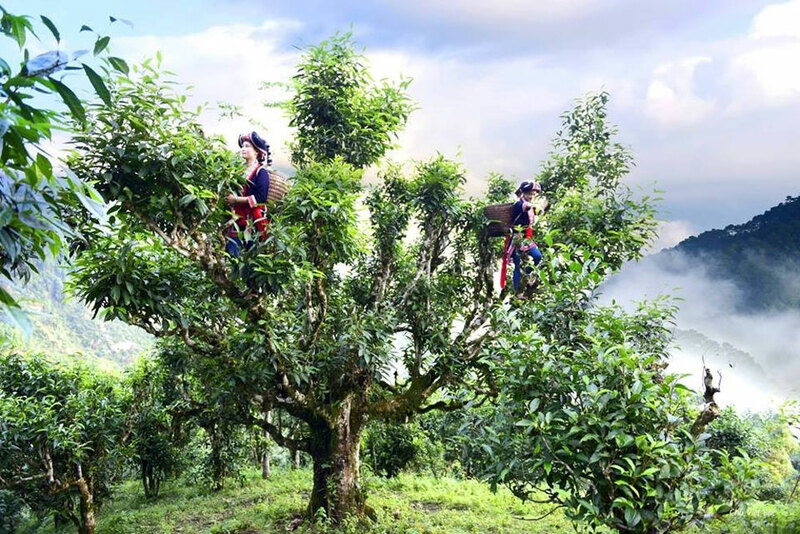 Local ethnics pick tea buds on old trees. Hoang Su Phi is also famous for old tea trees whose leaves have become a specialty (Photo: VNA). Local women ram earth to build a house. 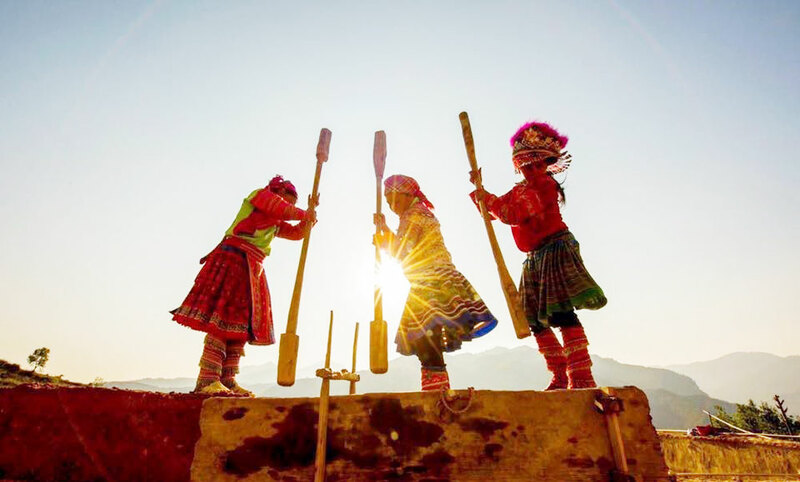 Once visiting Hoang Su Phi, tourists will also have a chance to learn about the culture of local ethnic groups (Photo: VNA). 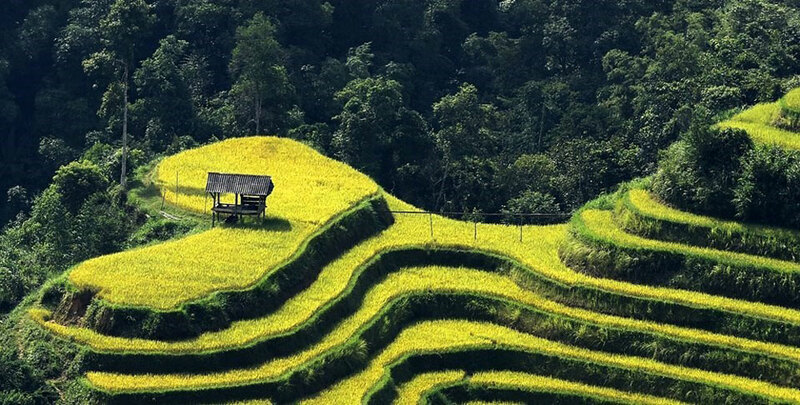 Apart from terraced fields, waterfalls are also interesting places for those who want to explore Hoang Su Phi (Photo: VNA).